Who loves to have the day off? On this particular day off, I was running around the city with Jackie doing a few errands. We managed to take some quick shots of this look. There is nothing better than a simple outfit with interesting details for an easy casual look that still feels put together. All you really need for a good casual outfit are a few pops of color or prints, or sometimes a little of both! 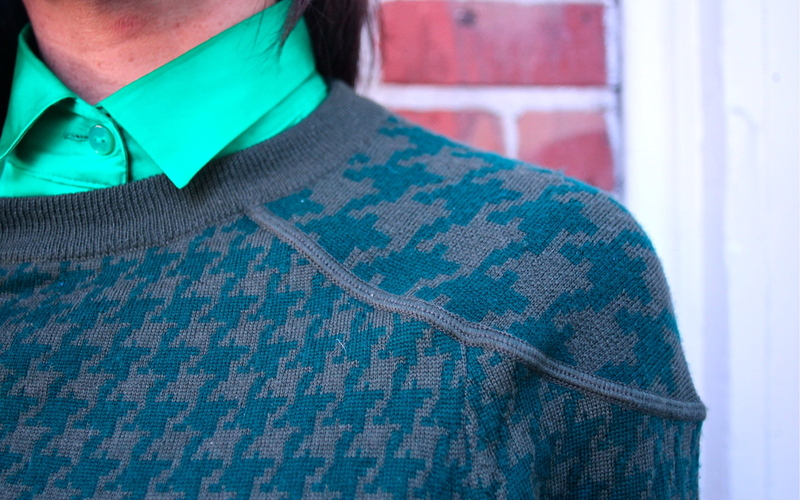 My printed sweater was another one of my J.Crew steals. I literally cannot get out of there. You know it's turned into an unhealthy addiction when the sales assistant goes, "heyyy youuu". I do love J.Crew though and there's no shame in that. Also: Thank you Mom for letting me borrow your bag. It's fabulous.